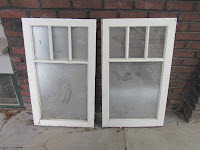 We went and bought two cute windows for the shed/coop project from Eric in SE Portland this afternoon. They're a real nice size, I think. 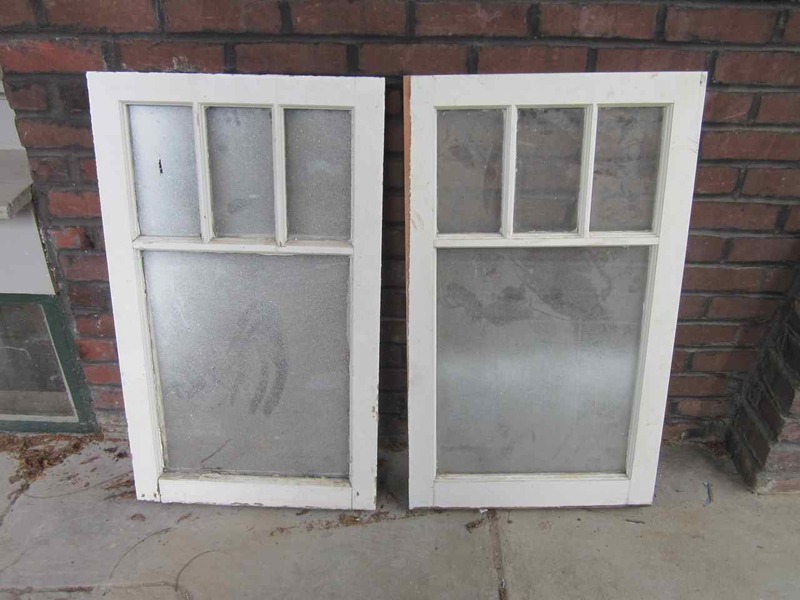 They do need cleaning up and reglazing, but they were a pretty good deal off craigslist. When we picked them up, Eric brought us into his "shop" in his backyard. It was quite the woodworking shop; he had a commercial planer that was probably bigger than a smart car. I'm sorry I didn't ask to take a picture, but it seemed a little tacky. He runs a business, called Willow Classic Woodworking, which apparently makes custom doors, windows and millwork. We got to talking to him about planing painted wood and he said he runs painted wood through his machine all the time. It's apparently a workhorse and he can just open it up to clean and sharpen the blades in place. Anyway, the point of this paragraph was to tell you that I'm excited we found a place to plane down all that salvaged fir wood we scored last fall. He's going to charge us $60 an hour to come use his planer. I don't have to strip the paint! Woo hoo! Tomorrow, however, we're planning a big basement sift. That's great that you found a way to plane the wood!